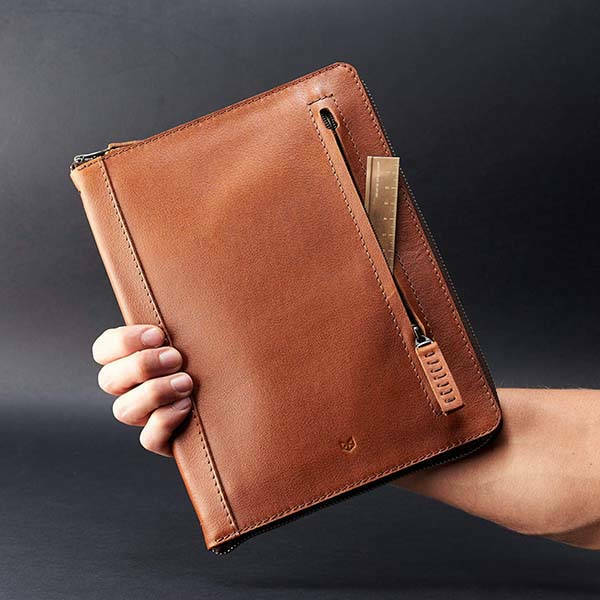 The handmade leather journal cover holds your notebook, pens and more accessories in style, and custom engraving ensures every cover delivers a personalized look. This is a well-crafted and versatile journal cover handmade by CapraLeather, a handicraft studio from Colombia. The notebook cover works with A5 notebooks. And as we can see from the images, it shows off a classic, stylish appearance design, and it’s made from full grain leather, which delivers luxurious aesthetics and premium feel. Meanwhile, the exquisite stitching not only provides enhanced construction, but also complements to the classic fashion. 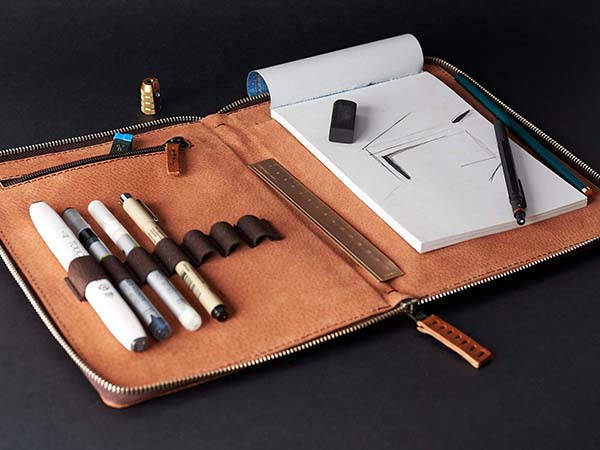 The leather journal cover creates a uniform plat surface so that you can effortlessly write on your notebook without having to take it out from the case, and the built-in pen slots keep your favorite pens, pencils, and markers in place for easy access. The inner zippered pocket is designed to hold some small items like cards, erasers and more. Furthermore, the dual-zippered closure not only securely keeps your items sealed together, but also allows you to access them with ease. 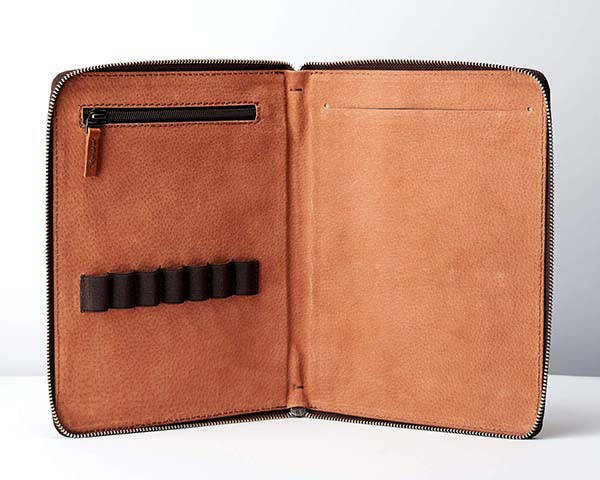 In addition, it also features an external zippered pocket for those frequently used items like transportation card, credit card, earbuds and more. And it’s customizable by engraving your own initials for a one-of-a-kind design. The handmade personalized leather journal cover is priced at $79 USD (extra $15 for customization). If you’re interested, jump to Etsy for its more details.